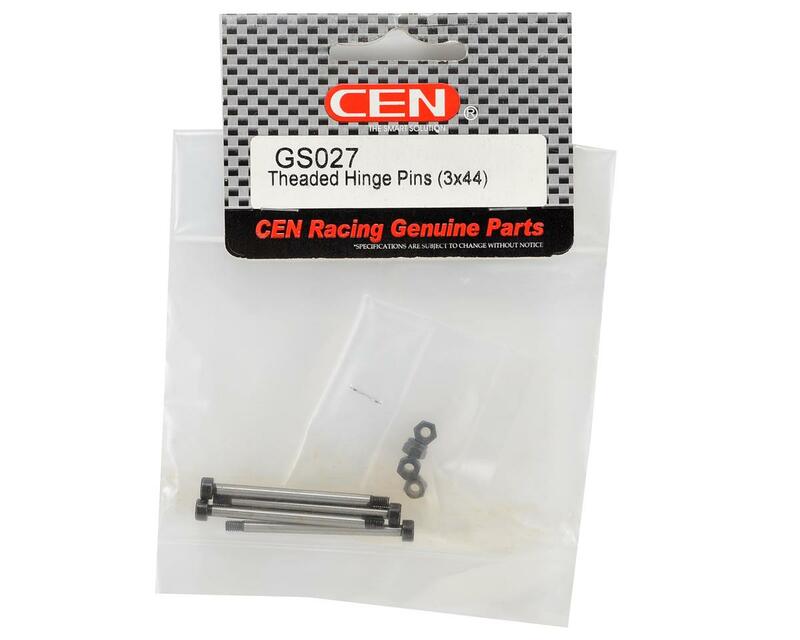 This is a replacement CEN Racing 3x44mm Lower/Outer Threaded Hinge Pin Set, and is intended for use with the CEN Racing GST 7.7 and GST-E monster trucks. 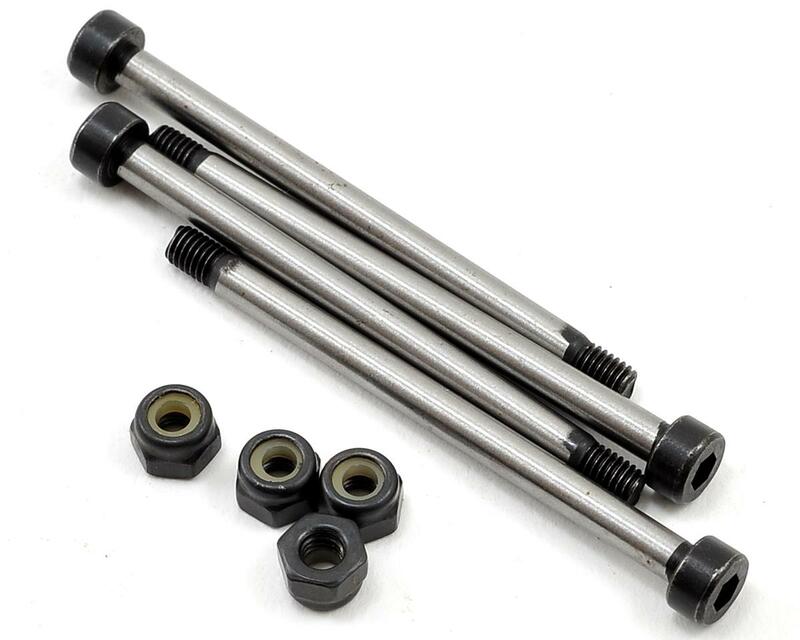 These are used to secure the front and rear lower suspension arms in the outer position. Package includes four hinge pins and four lock nuts.